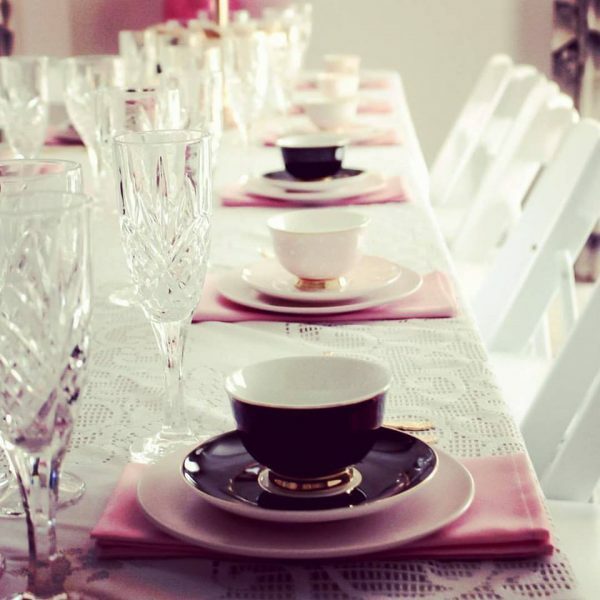 This petite tea set for two is every little girl’s dream. Perfect as a keepsake for a baby shower, christening or first birthday present. The photos do not do this sweet set justice. Trimmed in lustrous 24ct gold, and made from the finest quality New Bone China (no animal bone), this playfully elegant set includes two Petite Teacups, two Petite Saucers, 2 Peetite ceramic spoons a Petite Teapot. Designed to coordinate with an array of accessories from the Cristina Re High Tea Collection, this set is sure to delight any young lady. Trimmed in lustrous 24ct gold, and made from the finest quality New Bone China (no animal bone), this playfully elegant set includes two Petite Teacups, two Petite Saucers, 2 Petite ceramic spoons a Petite Teapot.